April 24, 2015 – This year, Fort Valley State University will celebrate its latest class of graduates at the 74th annual Spring Commencement Ceremony at 9:30 a.m. on Saturday, May 2 in the Health and Physical Education Complex. This year’s commencement speaker will be former U.S. 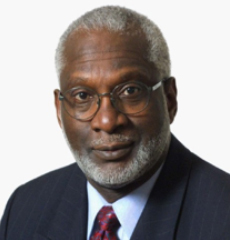 Surgeon General Dr. David Satcher. The former surgeon general now serves as the director of the Satcher Health Leadership Institute at the Morehouse School of Medicine. Satcher will address more than 315 graduates during this year’s commencement ceremony. Satcher is a professor of Community Health and Preventative Medicine, Family Medicine and Psychiatry at the Morehouse School of Medicine. Since returning to the MSM, he has served as the founding director of the National Center for Primary Care and as the interim president of the MSM. Prior to 2002, Satcher served as the director of the Centers for Disease Control, U.S. Assistant Secretary of Health, and Surgeon General of the United States, making him only the second person in the history of the country to serve simultaneously as surgeon general and assistant Secretary for Health. As surgeon general, Satcher released the first-ever Surgeons General Reports on Mental Health, Oral Health, Sexual Health, and Obesity. As assistant secretary of Health, he lead the development of Healthy People 2010. The goal of the program was to eliminate health disparities. He also served on the World Health Organization (WHO) Commission on Social Determinants of Health. Satcher has received more than 50 honorary degrees and numerous leadership awards. In his previous leadership roles, he has served as an interim dean and chief executive officer at King Drew Sickle Cell Research Center and as the past president of the Meharry Medical College. Satcher is an avid rower and jogger who promotes the Surgeons General Prescription of Health for personal behavior. He is married to the former Nola Richardson, and enjoys spending time with his children and grandchildren. For details, contact FVSU’s Office of Marketing and Communications at (478) 825-6319.